SAIPAN, Northern Mariana Islands — For Sowmangeyong Daniel Kaipat, the question wasn’t whether to enlist in the military after high school. It was what branch of the service to join. He joined the Marines and served in Iraq, Okinawa and Korea. He was honorably discharged after five years. That’s when the 23-year-old moved to Pagan (pronounced PAW-gahn), an island in the Northern Mariana Islands where his father and his grandfather used to live. Kaipat grew up in Saipan, the capital of the Commonwealth of the Northern Mariana Islands. The U.S. territory, north of Guam, is home to about 53,000 people. 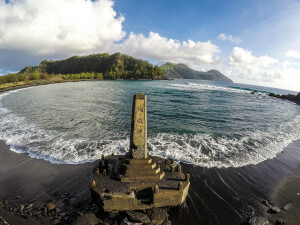 An old Japanese memorial sits on a beach on Pagan near the village of Bandera. The Navy wants to practice amphibious assault vehicle landings here, along with small boat and swimmer training. During summers in high school, he took a boat up to Pagan with his father where they fished and lived off the land. Kaipat’s father and extended family used to live on Pagan permanently, but were forced to leave in 1981 after a volcanic eruption engulfed their village. Like other former Pagan residents and their relatives, Kaipat and his father visit the island for months at a time, depending on the availability of transportation and supplies. The longest that Kaipat lived there continuously was for a year and a half after he got out of the Marine Corps. There’s no infrastructure on Pagan, which is less than 20 square miles. Despite its isolation, Kaipat loved it. He would hunt coconut crabs and catch reef fish. He felt closer to his Carolinian and Palauan heritage. When he decided to go to college, he had to move back to Saipan to enroll. The 28-year-old still wants to return to Pagan eventually. But that might not be possible now that the Navy wants to use the northern part of Pagan for bombing practice and other war games. 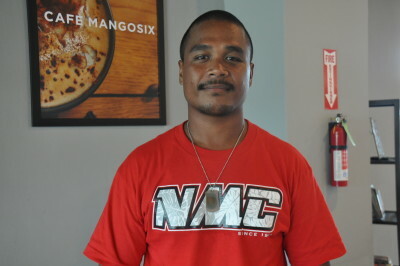 Sowmangeyong Daniel Kaipat is studying natural resources now at Northern Marianas College in Saipan. If the plan gets approved, the beaches where Kaipat and others used to fish and swim will be dredged, and access to the island could be limited during the four months of annual training. The Navy’s proposal is part of a broader plan to ramp up military training in Guam and the commonwealth, the closest U.S. territories to Asia. Department of Defense officials say it’s necessary to turn Pagan into a training ground to ensure that about 5,000 Marines who are moving to Guam from Okinawa are ready for war. 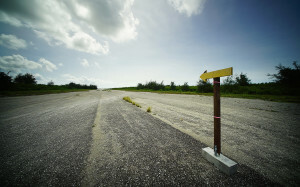 Although the Department of Defense doesn’t own any property on the island, Congress could take it through eminent domain. The residents of the commonwealth, who don’t have a vote in Congress, wouldn’t have a say. That worries former residents like Kaipat who fear any war games will destroy Pagan and make it impossible for anyone to move back. The U.S. Military Plans To Turn Northern Pagan Into A Bombing Range from Honolulu Civil Beat on Vimeo. Even though it’s been decades since the volcanic eruption, many still consider Pagan to be home. The commonwealth government still recognizes Pagan and neighboring undeveloped islands as a separate political district, and their mayor, Jerome Aldan, is adamantly opposed to the plans. The commonwealth’s governor, Ralph Torres, is also resisting the idea. His administration is even moving forward with a long-awaited homesteading program on Pagan. Even the federal Environmental Protection Agency is criticizing the Navy for the potential destruction of rare coral species that are already under stress from climate change. 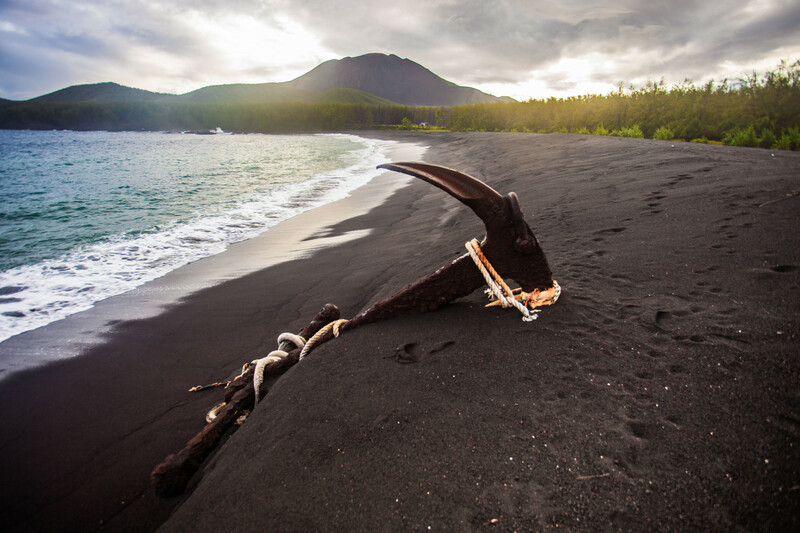 An anchor sits on a Pagan beach. 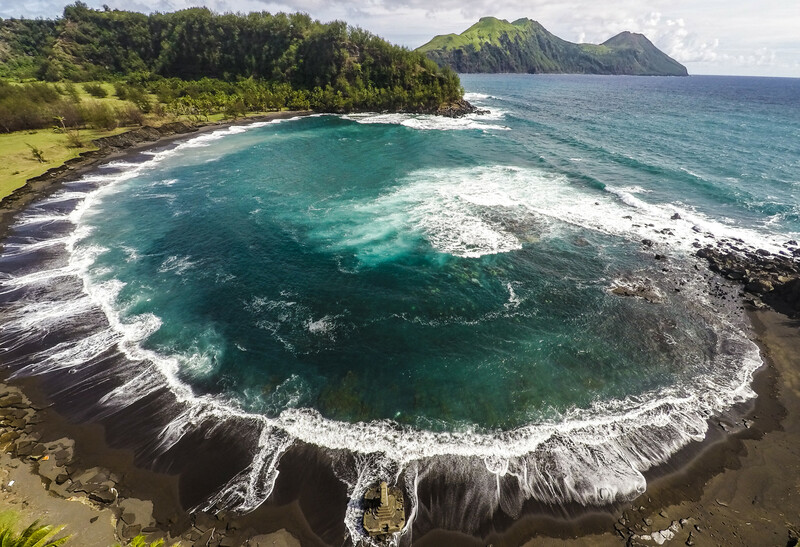 The island’s active volcano and lack of development makes it a hard place to live, but still some call it home. The Department of Defense is already bombing the nearby island of Farallon de Medinilla, and has been doing so since 1971. But that island doesn’t have beaches conducive to amphibious landing practice, and Pagan does. The same qualities that make the island good for military training also make it a desirable place to live. “It would be a shame for us to lose that,” Diego says. Diego was born on the island of Agrihan, just north of Pagan, and moved to Pagan as a kid. His family lived in a two-room house where he and his siblings would sleep in one bedroom with their parents. “My dad would take us out to go and catch fish for our food,” he recalls. They also raised pigs, chickens and goats. They didn’t have a car, so cows were used to haul copra from one place to another. Diego Kaipat says Pagan is his homeland, and he wants to go back. Copra is dried coconut meat that can be used to make oil. Back then, in the 1950s, ships would come from Japan to buy copra every month, Diego remembers. 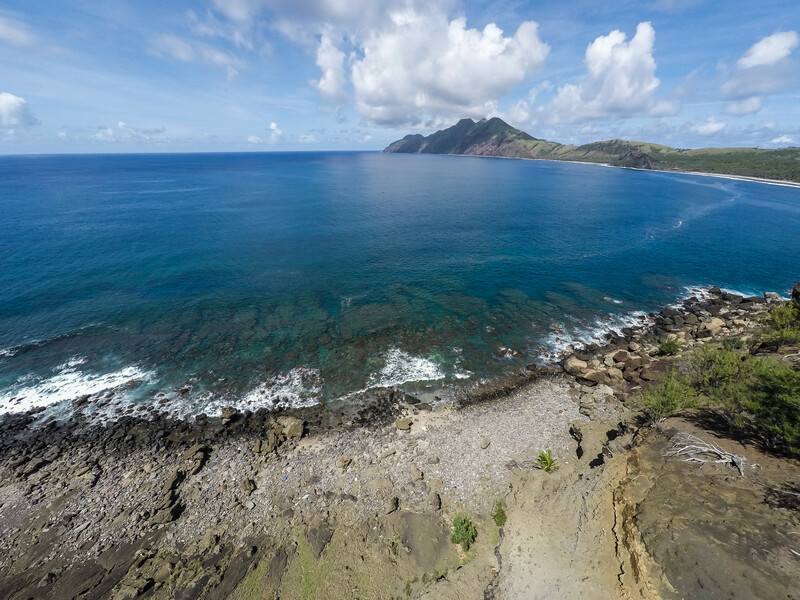 Pagan, like the rest of the Mariana Islands, was traditionally home to indigenous Chamorro people. 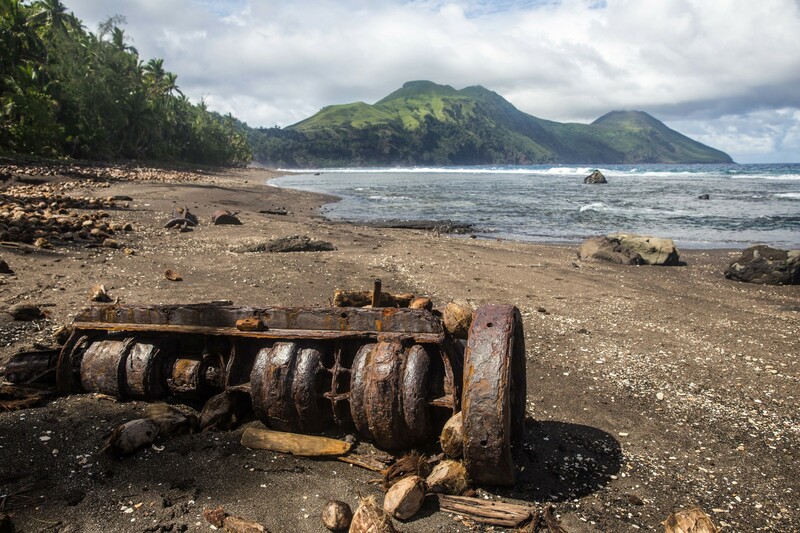 Historic artifacts found on the island date back hundreds of years. After Magellan landed on Guam, the entire island chain came under Spanish rule. 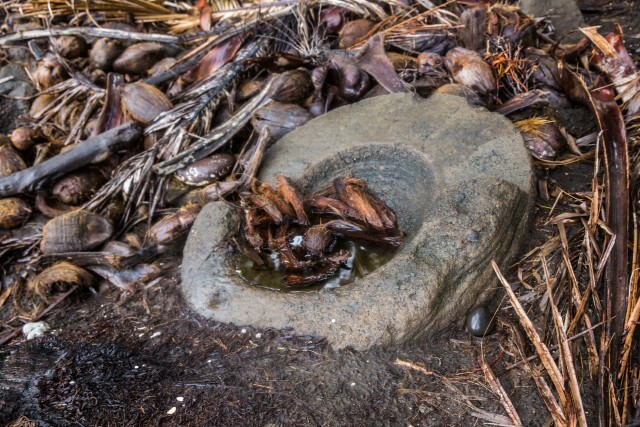 During the 17th century, Spanish colonizers forcefully relocated Pagan residents in an effort to concentrate Chamorros and indoctrinate them in Catholicism. Soon hundreds of residents moved back to Pagan illegally and the Spanish government forcefully removed them again. There’s not a lot of historical data on the island’s population but it appears that residents eventually moved back near the end of 19th century. Spain sold the Northern Mariana Islands to Germany in 1899, which lost them to Japan in 1914. That’s when Pagan became home to hundreds of Japanese and Okinawan people, along with Chamorro and Carolinian people, who had moved to the Marianas from the Caroline Islands. As World War II loomed, more than 2,000 Japanese service members were based on the island. They built a runway, troop barracks and bunkers to store bombs and fuel. Americans bombed Pagan, and after winning over the Northern Marianas, the U.S. military removed hundreds of Pagan residents to Saipan for medical attention. 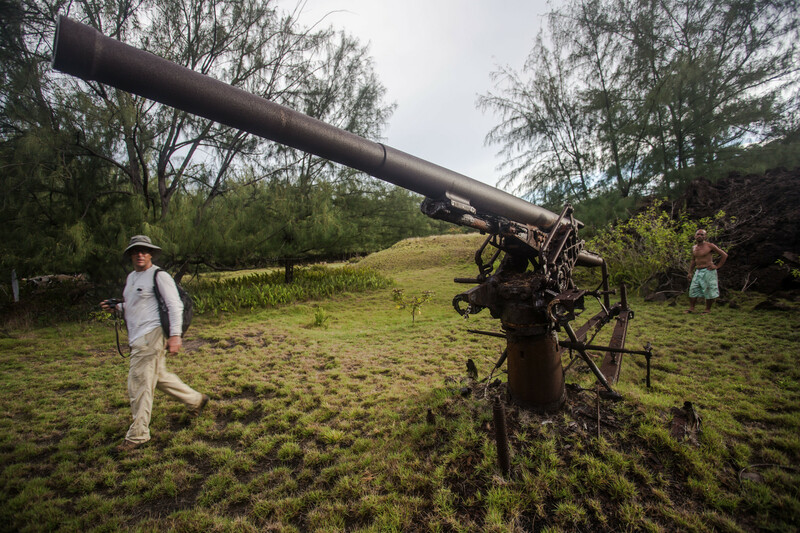 Earthjustice attorney David Henkin, who is suing the Navy, walks by a cannon on Pagan left over from World War II. Gus Castro stands in the background. Castro is one of the former residents of Pagan who wants to live there permanently. After the war some indigenous people still wanted to go back, and dozens finally did in 1951. That’s around the time Diego’s family moved there, too. He remembers how ships would come regularly and villagers would buy rice, soy sauce, coffee and other supplies. Sometimes tourists would visit on cruise ships and enjoy the hot springs. It was a good life, Diego recalls. But that all changed one day in 1981. Pedro Castro was sitting at a picnic table planning a religious festival when his coffee cup started to shake. The ground was rolling as he stood up and tried to run toward the radio communications. It was May 15, 1981, and Pagan’s northern volcano was beginning to erupt. Castro, who worked for the National Weather Service tried to call Saipan, but no one answered. It was Friday, and payday, he remembers. He tried a different island — Rota, a smaller island south of Saipan — and finally got a reply. Castro told the man who answered that the volcano was erupting. And then he started to run. The air tasted like sulfur. Pedro Castro lived on Pagan for decades until its northern volcano erupted in 1981. Diego Kaipat’s sister-in-law, Jacinta Kaipat, was 21. She had only been living on Pagan for a few months, and was working as a health assistant and taking care of her two young children. She remembers running, carrying her son in her arms as the ground shook beneath her. She looked back and saw a mass of fire and ash. She suddenly couldn’t move, despite her husband screaming at her to run. As she stood rooted to the spot, her brother-in-law ran over and took the baby out of her hands. Her husband shouted at her, pleading: What would her children do without their mother? Finally, her legs started working again. But there was nowhere to run. The only way to escape was to go into the ocean. 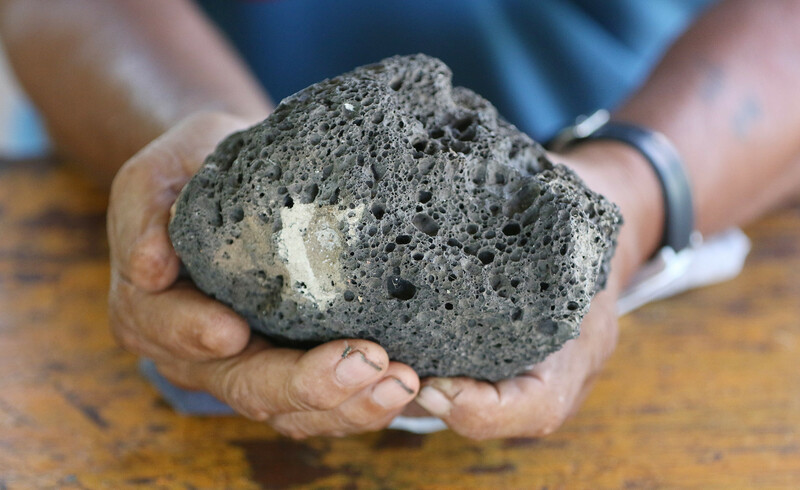 Pedro Castro holds pumice, a remnant of Pagan’s 1981 volcanic eruption. Jacinta swam along with dozens of others. Near her, an 11-year-old child held an 8-month-old, swimming with the baby above the water. Her father-in-law carried a child who had been knocked out by a falling rock. Black rocks kept raining above them until they made it to Castro’s boat. It had a hole in the bottom but they still leapt into it. She took off her slippers and paddled furiously. Miraculously the boat made it the south side of the island. Jacinta scrambled onto the rock and coral. They cut her feet, but she couldn’t feel it. She was so numb from shock. The sky was black with ash and falling rocks. Castro told the group to move inland because he was afraid there would be a tsunami. They didn’t have food but found coconuts to eat. Some made a fire to try to attract a boat. "That island... it's just something that draws you. You want to keep going back." 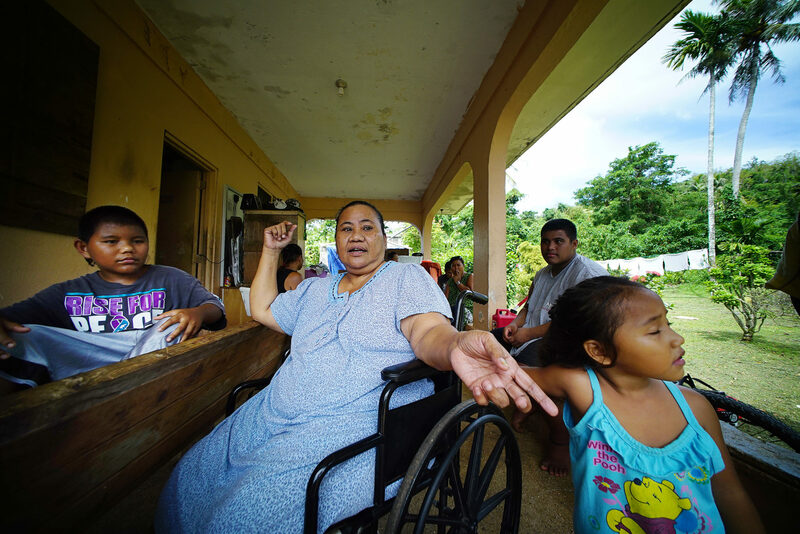 Jacinta Kaipat sits with her grandkids at her home in Saipan. She remembers the volcanic eruption like it was yesterday. Castro remembers listening to a transistor radio and a news report that speculated that there were no survivors as he and others waited for a boat to pick them up. No one died or was seriously hurt. In the morning, a Japanese cargo ship rescued them. The Associated Press later reported that 53 residents were displaced by the volcanic eruption, which shot ash as high as 40,000 feet. The commonwealth government told residents not to return to Pagan due to the risk of another eruption. 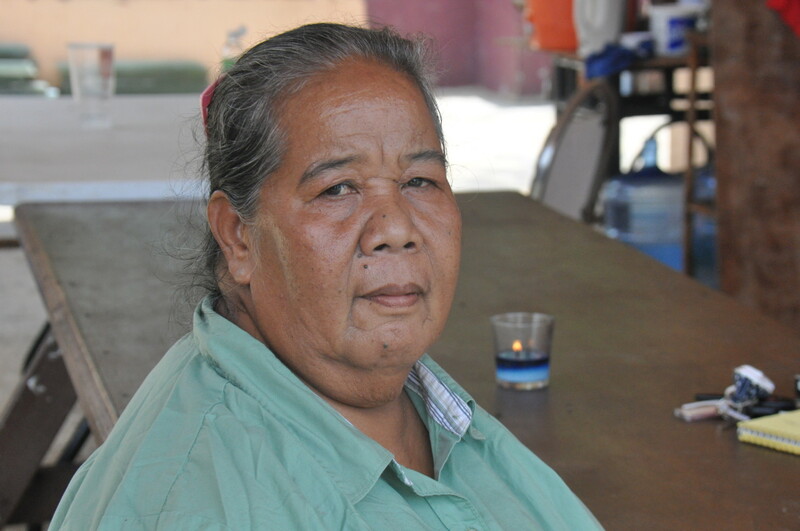 Jacinta Kaipat moved in with her family who lived in Saipan and got a job as a nurse at the local hospital. But for Pagan residents like Clotilde Kaipat Aldan who hadn’t grown up on Saipan, the move was harder. Her husband went back to Pagan to get their things but came back empty-handed. The entrance to this church on Pagan was partially covered during the 1981 volcanic eruption. “Everything was buried,” says Aldan, including her fridge, freezer, gas stove, washing machine, clothes, bed, chairs and table. The ash even covered the windows and doors of her home. The volcano had engulfed the village on the northern side of the island. She and her husband wanted to farm and fish on Saipan but it was unfamiliar. Unlike on Pagan, they didn’t know the best places to find food. 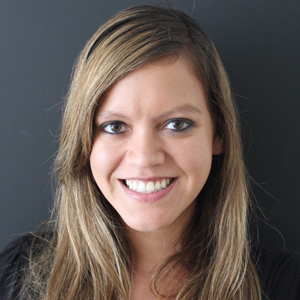 Clotilde Aldan got a job preparing food in the hospital cafeteria. 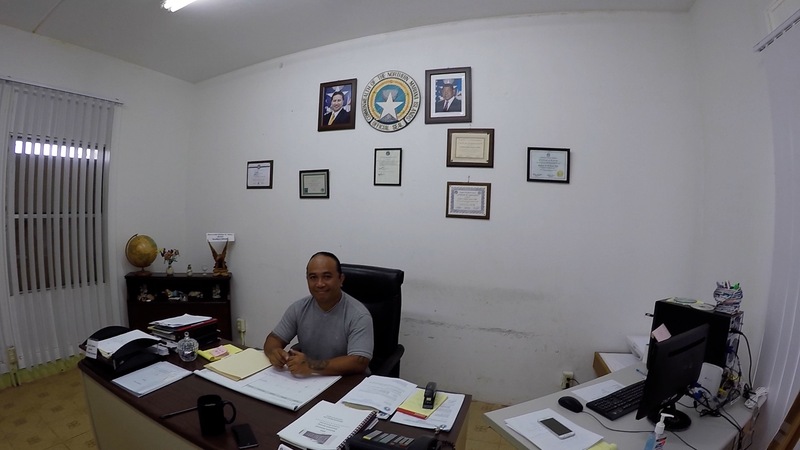 Jerome Aldan’s office is a single-story white concrete building in a village known as Capitol Hill in Saipan. Maps of Pagan, Alamagan and Agrihan are plastered on the walls. Jerome is one of Clotilde’s sons, and lived on Pagan until he was 8 years old and the volcano erupted. Jerome Aldan sits in his office on Saipan. He’s the mayor of the Northern Islands, a group of undeveloped islands in the Marianas that include Pagan. 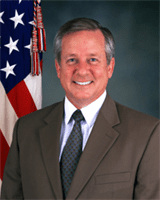 In 2014, he was elected with a total of 155 votes. He beat his opponent by just 33 votes. His job is unusual given how tiny his constituency is, and many of them don’t live full-time in the northern islands. Jerome Aldan doesn’t even live in his district most of the time. But it probably wouldn’t make sense anyway because Saipan is the center of the commonwealth government. 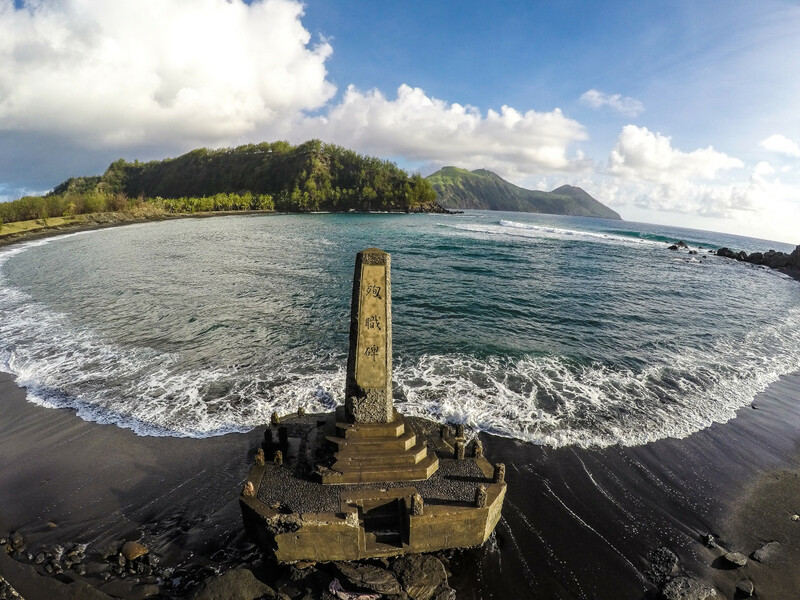 Before the 1981 eruption, dozens of Pagan residents lived in 11 houses on the island. These two were rebuilt from tin in the years since. And he sees part of his job as convincing local government leaders to invest in Pagan and neighboring undeveloped islands, a job that would be hard to do by satellite phone. It’s already a herculean task. The commonwealth already struggles to provide consistent electricity and potable water on the islands of Saipan, Tinian and Rota. The islands’ economy has long been volatile. By the late 1990s, the commonwealth’s Japanese tourism economy was dwindling. By 2012, its multi-million dollar garment industry had folded. Recently the government’s retirement fund tried to declare bankruptcy. In 2013, the islands’ long-term debt exceeded $350 million. Last year, more than half of the population lived below the poverty line. 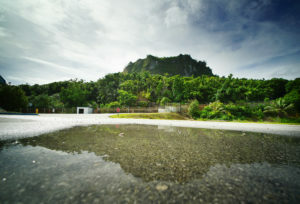 Saipan has suffered from years of economic turbulence and its tourism district is dotted with abandoned, derelict buildings. 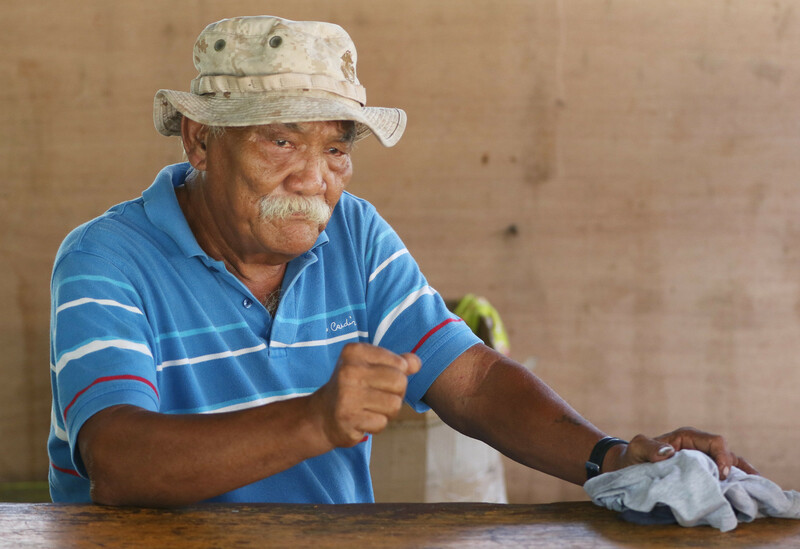 Pedro Castro has seen many politicians come and go over the decades since he’s left Pagan, and no longer believes that any of them — even Jerome Aldan — will help former Pagan residents like himself actually resettle the island. 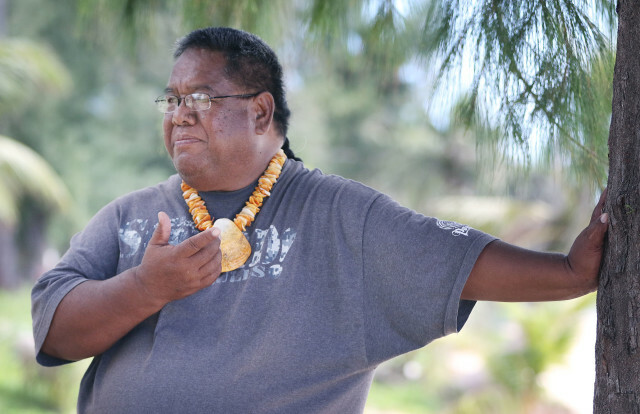 While others might scoff that it’s a pipe dream, Jerome Aldan is still enthusiastic and optimistic about the prospect of building a community on Pagan again. He’s encouraged by the governor’s recent support for homesteading. In 2012, before that was announced, Aldan held a conference to explore the potential for the island to serve as a hub for ecotourism, aquaculture, agriculture, scientific research or even geothermal energy production. This is one of the beaches where the military wants to train using amphibious vehicles on Pagan. Jerome Aldan thinks the beach would be better used for ecotourism. Others have their own ideas for the future of the island. For many years, Castro encouraged the government to open up the island to mining of volcanic ash known as pozzolan that could be sold to foreign investors to make cement and concrete. Japanese companies sought in 2012 to use the island as a dumping ground for millions of tons of debris left over from the massive 2011 tsunami. They were egged on by a local representative who argued that dumping tsunami debris on Pagan could incentivize mining operations. But the idea was successfully opposed by environmentalists. 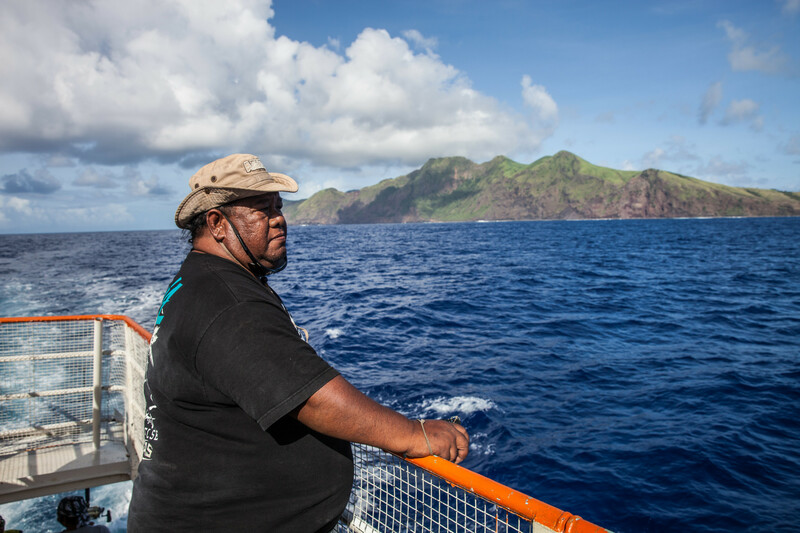 Meanwhile, former Pagan residents like Diego Kaipat haven’t been waiting on the government to resettle the island. They started traveling up there on their own in the early 2000s and staying for months at a time. Diego Kaipat looks out at Pagan as he approaches the island. He goes up for months at a time when the weather permits and he can catch a ride on a boat. But the lack of reliable transportation and frequent storms make it hard to stay permanently, Kaipat says. Before the volcano, ships would come often enough that you could get whatever supplies you needed or catch a ride to go to the hospital if you needed to. Nowadays, there aren’t regular flights or boat rides. Even Aldan’s office has a tough time securing funding to visit the island, sometimes postponing visits for months. Could Military Plans Actually Help? Castro may be frustrated with decades of government inaction on Pagan, but thinks that the Navy’s plans to train may actually be helpful because the agency has the resources to help with redevelopment. “If the military can negotiate with the government and strictly use the land they designated for training, I think the people who wanted to move back can still have the opportunity,” he says. Castro is not worried that debris from unexploded ordnance would prevent people from living there. 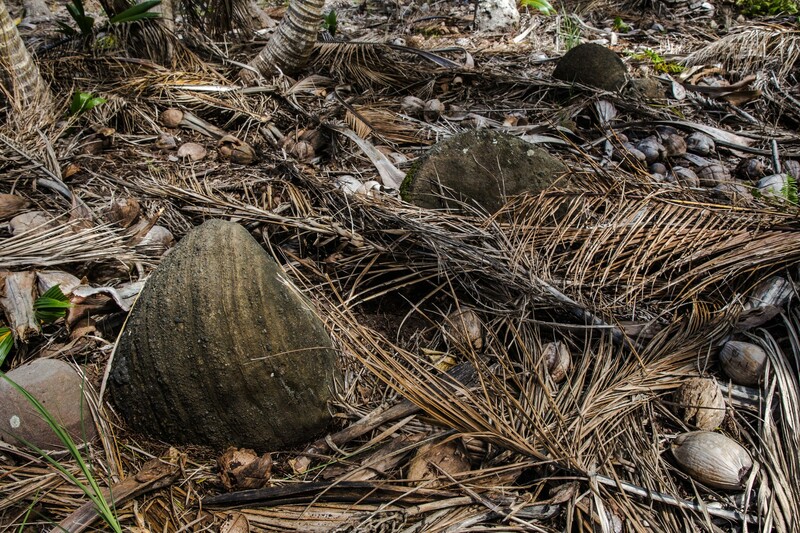 Like other islands in the Marianas, Pagan is still littered with bombs and fragments of munitions from World War II. To Castro, that’s not a big deal. He thinks training and development can coexist. Pedro Castro doesn’t think it would be a problem to develop homes on Pagan next to a training range in part because the island is already littered with munitions left over from World War II, and he’s used to living with them. But the Navy’s plans make no reference to developing the island for habitation. 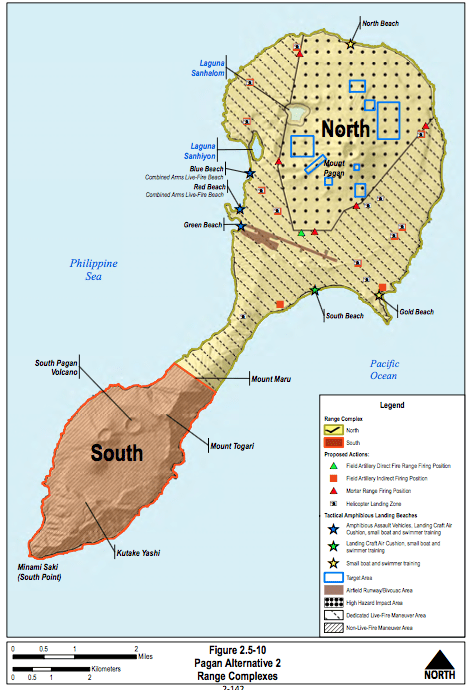 The bombing range and training areas also overlap with parts of the island used for fishing and farming. Still, Vicente Aldan, who is the mayor’s uncle, is similarly hopeful that a deal could be worked out. He grew up on Pagan where he worked as a schoolteacher for many years until the volcanic eruption. 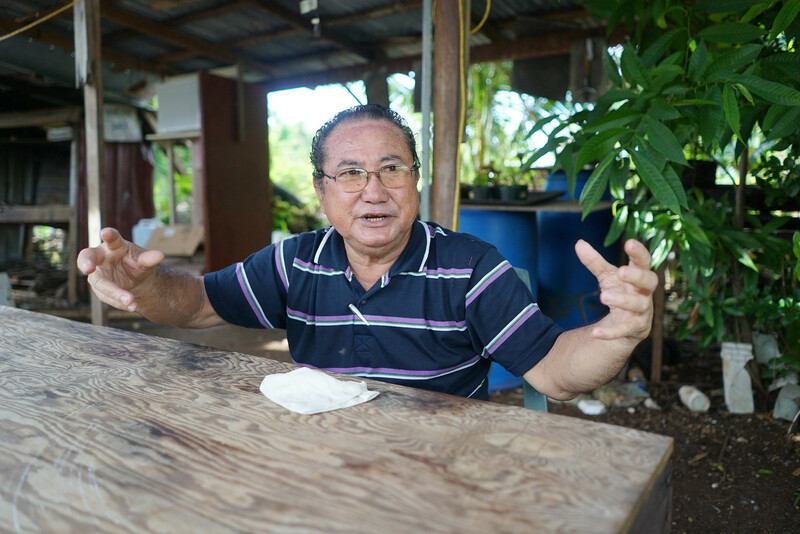 At age 64, he continues to farm on the south side of Saipan, growing dragon fruit, bananas, pineapples and tapioca, because it reminds him of Pagan. He thinks politicians should be strategic and see if the Navy could help fund infrastructure on the island, rather than rejecting the plans outright. "Negotiation is supposed to be in process. If I were the mayor I would actually sit down with the military and come up with all the things I need." Vicente Aldan thinks the commonwealth should work with the military to develop Pagan. Otherwise, he doubts that the commonwealth government will ever have enough money to fund a permanent settlement, even if the military training never happens. Neither Castro nor Vicente Aldan plan to move back to Pagan. Castro says he’s too old; Aldan says he’s worried about another eruption. Craig Whelden, executive director of U.S. Marine Corps Forces Pacific, says he doesn’t think that the training would prevent people from living on island, and wants to find ways to “bridge gaps” between the Department of Defense’s needs and locals who want to go back. “We are very open to trying to find solutions which can achieve homesteading opportunities for people who want to live in Pagan,” Whelden says. 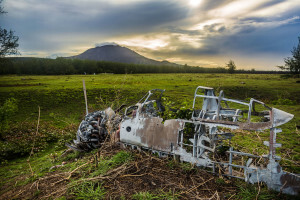 While bombs would be dropped on Pagan’s northern volcano, “We would take extensive efforts to ensure that the rest of the island is kept in a pristine manner,” he says. He emphasizes that the training is important because about 5,000 Marines who are moving to nearby Guam need a place to train. Pagan’s proximity to Guam would cut down on costs of flying to other countries for training, he says. The move is also part of a broader strategic push to beef up the military’s presence in the Asia-Pacific region. 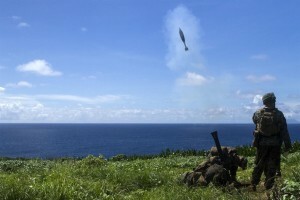 Within the Marianas, Pagan would allow a more intense level of training that doesn’t currently exist on Guam or Tinian, permitting a “full spectrum of munitions” where multiple branches of the service could practice joint exercises. Whelden says a new environmental analysis scheduled to be published next spring will take into account the concerns that have been raised and propose two new training alternatives. A final decision is expected in the summer of 2018. This map shows where the Navy wants to train on Pagan. Despite the Department of Defense’s efforts to revise its studies, local community organizations and environmental groups have filed a lawsuit to stop the training. The complaint brought by Earthjustice and the Center for Biological Diversity targets the Pagan bombing range as well as multiple live-fire ranges on Tinian. Brian Turner, an attorney with the National Trust for Historic Preservation in San Francisco, isn’t part of the case, but is worried about the lack of comprehensive surveys of Pagan’s historic sites. One of many historic artifacts found on Pagan. Brian Turner from the National Trust for Historic Preservation says the Navy needs to do more to survey the island. 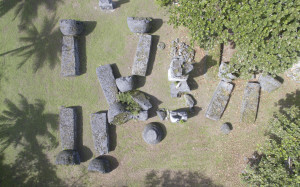 A Navy survey found 180 historic sites on Pagan, including Chamorro latte stones dating back hundreds of years. Nearly two-thirds of those sites are eligible for the National Register of Historic Places, Turner says. But the Navy only conducted on-the-ground surveys for 600 acres out of 11,680 acres on the island and relied on aerial surveys for the rest, Turner says. Meanwhile, the EPA says the training on Pagan would destroy 121 acres of marine habitat across six beaches, including 10,600 colonies of threatened coral at South Beach. The federal agency wants the Navy to change its plan to avoid that beach to spare the threatened coral, already under pressure from climate change. Threatened coral is also found at Green Beach, but data on coral species found at Gold and North beaches is missing, the EPA says in its official comments. There’s lots of coral on Pagan beaches that would be harmed by military training. But the EPA says data isn’t available about coral at Gold Beach, pictured above. Sowmangeyong Daniel Kaipat drove amphibious vehicles when he was stationed at Kaneohe Bay. He shakes his head thinking about how the Navy would have to break the coral reefs to make the beaches compatible with amphibious landings. Despite his opposition to the military’s plans, Kaipat is still thinking of re-enlisting in the Marine Corps after he graduates from college. If he does, he says he would drop bombs on Pagan if ordered to do so. But it’s a decision he hopes he doesn’t have to make. While Kaipat plans to return to Pagan, for some former residents, the decades since the volcanic eruption have forced that dream to fade. Now in her late 50s, Jacinta Kaipat is in a wheelchair, and when she talks about returning to Pagan, it’s in a wistful, nostalgic tone. She knows that it’s unlikely she’ll make it back. But she still dreams of bringing her children. She wants them to see where their father grew up. Jacinta Kaipat’s late husband, who also lived on Pagan, was a Gulf War veteran. One of her children is also a veteran who was medically discharged after she injured her back during a Humvee accident. 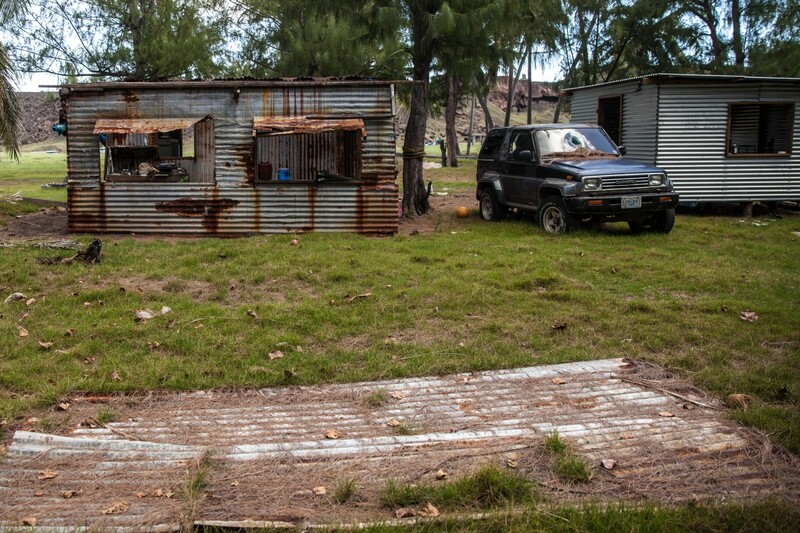 Pagan resident Jacinta Kaipat wishes she could bring her kids and grandkids to Pagan. So Jacinta says she recognizes the importance of military readiness and doesn’t question the need for training. But she can’t wrap her head around why Pagan, of all islands, is the one that the Navy wants to bomb. Clotilde Aldan feels the same. 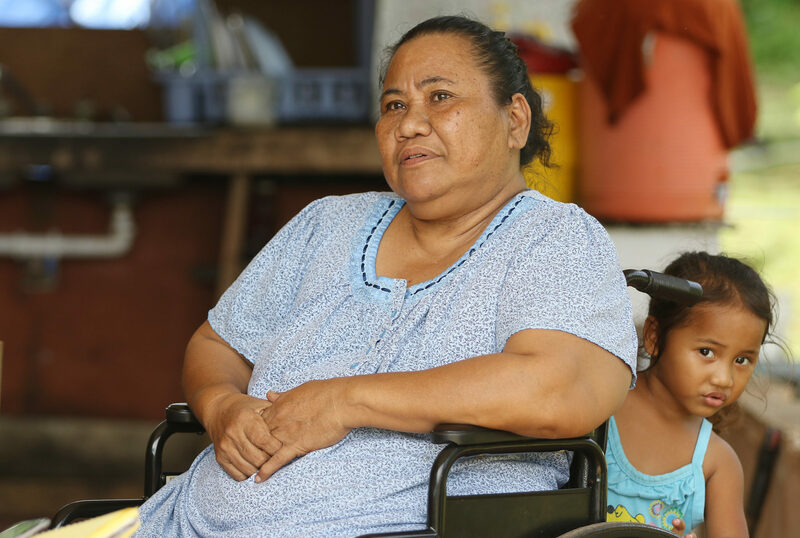 On a recent afternoon, she sits on a picnic table outside her house on Saipan, the same yellow home that the government gave her family after the volcanic eruption. She reminisces about Pagan: how she would go swimming with her brothers in the clear ocean, or hunting with her father to catch coconut crabs, pigs or goats. Clotilde Aldan sits outside her house on Saipan. She says she wants her grandchildren to be able to live on Pagan. Even though she wants to go back, she’s not sure if she could given her health problems. Her recollections are cut short when her daughter reminds her that they need to go to the Department of Public Lands to pay a fee for the new homestead program. “Two hundred dollars,” Clotilde says, shaking her head. Still, she gets up to leave. One of her grandsons — Jerome, the mayor of Pagan’s, son — recently returned from the war in Iraq, she explains. She wants to make sure he has an island to go home to.